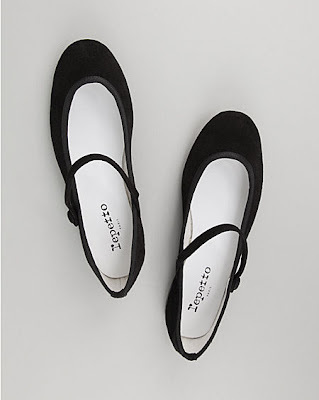 Repetto's suede mary jane flats retailed for $290 before being marked down to $203 at La Garconne, now sold out. Cooperative's Mary Jane flats are wool instead of suede but retail for a MUCH lower $28! Click on the photo below if you're interested in purchasing this alternative option.